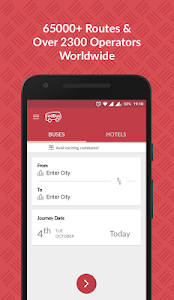 Quickest & safest way to book bus tickets & hotel rooms is through redBus! Search for your destination and choose from a wide choice of bus services based on your preferred bus operator, departure times, prices, bus types, pickup & drop off points, ratings & reviews. 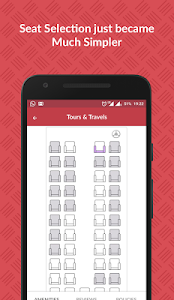 Choose seats & pay securely using popular payment options based on your country. Book bus tickets for over 70,000 routes and from over 2300 operators. Choose from a variety of buses including seater, sleeper, semi-sleeper, A/C, non A/C buses. 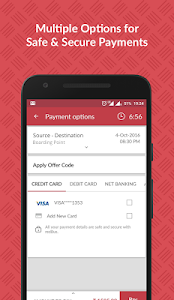 You can now transact on the app using online banking, credit cards debit cards & PayTm wallet. 3. 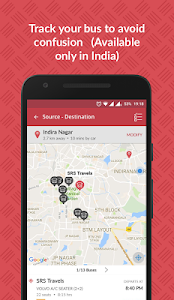 Live bus tracking – Track your bus live and send tracking link to your near and dear. Book express bus tickets to popular destinations such as Singapore, Kuala Lumpur, Johor Bahru, Penang, Melaka, Ipoh, Genting, Cameron Highlands, KLIA, KLIA2, Seremban, Perlis, Terengganu & more. You can choose from a list of reliable coach companies such as Transnasional, Plusliner, Nice, Starmart, Konsortium, Aerobus, Transtar, Causeway Link, Sri Maju & more! Pay securely via payment options such as credit cards, debit cards, and online banking supporting all major banks in Singapore & Malaysia. 1. Convenient, secure & fast booking. 3. 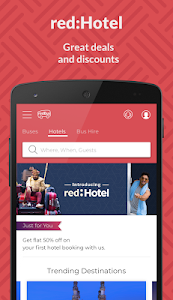 Refer & earn – Earn exciting rewards by inviting your friends and family to join redBus. Our customer care team is available for you 24x7 over emails, chat & phone. Book coach and shuttle tickets for popular destinations such as Jakarta, Bandung, Semarang, Solo, Yogyakarta, Surabaya, Denpasar and more many more destinations! Bus tickets for Kramat Djati, X-Trans, PO San, Hai-Trans, Pahala Kencana, Lorena, Day Trans Bimo Trans & more. We continue to add more bus operators to offer the widest choice to you. You can also avail exciting cashback on your first transaction. Paying securely via payment options such as credit cards, debit cards, BCA Klikpay, Mandiri Clickpay & Doku wallet. You can also pay offline via ATM transfers or at your near Alfamart store. 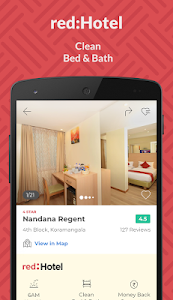 Introducing red:Hotels - 6AM checkin, clean room and money back guarantee! 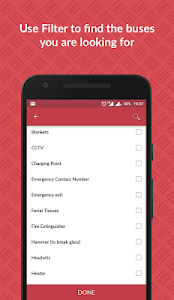 redBus offers early checkin to over 4000 properties across India. Book hotels on the move which are near your drop points and all business centers. We also offer lowest price guarantee. 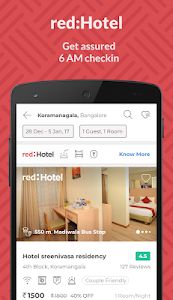 Choose from 20000 hotels in 1000 cities in top destinations like Bangalore, Hyderabad, Pune, Mumbai, Chennai, Tirupati, Ooty, Coimbatore, Shirdi, Munnar, Kerala, Coorg, Kodaikanal, Pondicherry, Goa, Nasik, Jaipur, Agra, Mysore, Delhi and more! 1. Search & shortlist hotels by name, localities, cities, amenities, prices, ratings. 2. Over 10M verified hotel reviews to help you find the best hotel. Avail exclusive discounts, last minute deals, free cancellation policy and ensure you get the best deal every time. You can now directly search your nearest boarding point rather than searching by city. Making your booking even more convenient! Enjoy viewing the frequent boarding and dropping locations used for the Bangalore-Chennai route - all information at a glance. 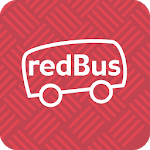 Similar to "redBus - Online Bus Ticket Booking"